Himachal Pradesh General Studies plays a important part in the syllabus as it can consist 20 to 30 % of marks in Prelims and also in Mains Exams so it becomes a very important section to cover. For Himachal Pradesh General Studies there are so many books available in the market and most of them are really USELESS because these books just copy paste few important topics and ignores the most part that usually appear in the exams and these books lack the depth in the most the topics So these books are not of Good Quality. To cover this section you need very Good Study material and GOOD QUALITY books for the preparation of HIMACHAL PRADESH GENERAL STUDIES. I have gone through many many books and have found few books really useful and IMPORTANT for HPAS/HAS and other Examinations. The Books You will Buy will also come handy for other State Exams, So choose wisely and if you have older Editions of Any book then don't buy it Go for Other Best book So that you can have variety of Content. Every Now and Then I receive a lot of messages regarding How to prepare Himachal GK/ HP GK for HPAS, Naib Tehsiladar, Allied services, CDPO etc Exams. Many asks which books to follow? Many asks which topics are Very Important ? Some ask for HP GK pdf. Some ask for Himacal GK Notes. While some ask for Himachal MCQs. 1. Which Books to read for Himachal GK ? Answer : I know many of you that which books to study but many don't know which books to follow. Since there are hundreds of books on Himachal so it becomes very difficult for aspirants to choose the right ones. From Exam point of view there are many books in the market from the price range of 30 Rs to 500 Rs. But Frankly Speaking none of the these books are useful for exams. These Books are copy paste and have lot of errors in it. These books are total waste of money. So first of all I will request not to choose these books, believe me these books are not even good enough for a clerk exam. Level of clerical exams have also gone up and previous questions form HPAS etc appear in clerical exams nowadays. Those days are gone now when very straightforward questions used to come in these exams. What I want to say is that These books are not useful because they contain very less and unauthentic materiel, there are lot of errors in these books and that will puzzle too. So I advise you to read some reliable sources. So Please don't buy these cheap books just because they are very less in price and have exciting looks or few MCQs. There are some books online available too, Like Arihant's HP GK, R Gupta's Book etc. These books are very cheap in cost but in reality they are useless and contain very less material. These days many people do online shopping so I will suggest not to buy these cheap price books as they are not enough for even Prelims exams and forget about the Mains. I am writing all this because I haven't seen anyone who are preparing for these exams and read the GOOD HP GK books, most of the aspirants have 3-4 books and none of them are really useful. There are three things that they ignore Good books : First is that they think that its useless and difficult to read a bulky Book. Second thing is that they want to read small books in which important things are given. Third thing is everyone like to buy a book which is cheaper in cost. And the problem arises for them in exams when they can't answer many questions from those books. This happens because HPPSC prepare papers after a lot of research and ask difficult questions. So for that kind of situations you have to study these subjective bulky and good Books. That's why say bye to these Jholla chaap books and read some Good Books. - HP GK pdf on few topics are useless, you won't get any pdf on the internet so don't waste your time on these things, they will be unauthentic too, Few topics may be available but you will only get 5% of what you actually need. Don't waste time on that, Buy a "The Wonderland Himachal Pradesh - Jag Mohan Balokhra's Book and make notes out of it and utilize your time carefully. You will get nothing useful on the internet about Himachal GK. - Few Guys ask for Himachal GK MCQs, I would say that its wastage of time, you will get some copy pasted question from here and there and totally unauthentic materiel. Other day someone told me that in Himachal High court Clerk exam they asks Himachal GK questions from my site and from some random facebook posts of some users and many of those questions are wrong on the internet. In Himachal High court Clerk exam they may ask from internet anything useless but when it comes to HPPSC or HPSSC they are professional and they prepare tough questions from bulky books, so the mcqs on the internet are useless, highly unauthentic and hardly get repeated in HPAS etc exams. So its good that you read an authentic and original source. That's why I advise to read "The Wonderland Himachal Pradesh - Jag Mohan Balokhra's Book or Mia Govardhan Singh's Books. Don't waste your time on HP GK MCQs or Quizzes on the internet and read proper Books. Use Internet for Current affair but when it comes to Static Himachal GK then read a Good Book. It will save your time and energy. If you are having this book then it is enough, No need to look for any other source, believe me its sufficient and covers almost 90% of syllabus for HPAS, Naib Tehsiladar, Allied services, CDPO etc Exams. Only problem is that it's a huge book of 1600 plus pages so you need to read it selectively. Read it in Parts or Sections. There are some errors in it too but that's not a problem with one or two reading you will come to know about that. This is one authentic source for Himachal GK. This Book is easily available at various book centers at various Places of the Himachal Pradesh, Chandigarh and Delhi. 2. If you don't like above book then you can read a series of books by Mian Goverdhan Singh. They are highly authentic and useful. (a) Himachal Pradesh : History, Culture And Economy by Mian Goverdhan Singh - This Book is the Main book and very Useful. These Books are More Important from HPAS Mains Himachal GK point of view but for Prelims The Wonderland HIMACHALPRADESH by Balokhra is Enough. Apart from these books you can read as many as you want to read but I don't recommend any other books. I don't recommend any Jholla chaap Arihant HP GK, R Gupta type books which are useless books and those who say to you to choose these kind of books are fooling you for sure. So It's Up to you to choose Good Books. 2. What to read in The Wonderland Himachal Pradesh - Jag Mohan Balokhra's Book ? Or What are important Topics of Himachal GK ? -History & Geography is Most Important Sections. - Divide it into sections or parts e.g. History, Geography, Culture etc...- Underline the Important facts or information when you read it first or second time. - Make notes from it after a reading or side by side. - Skip topics or content that is not useful from exam point of view. There is lot of thing useless in this book. So analyse the previous papers and find out important questions/topics. - This is bulky book to read but you have to read it any cost no matter how you read it. 3. How to prepare Himachal GK/HP GK for HPAS, Naib Tehsildar, Allied Services and CDPO etc Exams ? - Most effective way is Know the syllabus and break the syllabus into Sections or Parts. Give a focused reading to any topic once and then give 2nd reading and side by side make notes of important points. You can make notes according to your style. Notes can be short or bit explanatory. Don't mug up anything. - Ratta Approach don't work because you have a lot of facts and information to study and remember, so apply some logic, interrelate topics. - You can underline the main points in the book itself with a Highlighter or red pen. - For better understanding of events in History make a chronology of Kings and Kingdoms along with their Works, features and demerits etc. More you read this section more you will retain. - Have a clarity about the events since freedom movement days to statehood days. - Learn about the Culture and Customs, tribal topics are very important. -Form now onward economy section is going to be very important so make sure you read it well and read with analytical approach. - Facts are important from Prelims point of view but Subjective approach is required to write answers in mains so you have to read accordingly. - Skipping Himachal GK is not recommended at all, believe me its not very tough to prepare this section. All you need is have a Good Book and read it thoroughly and if possible make notes out of it. That's it. 4. How to Prepare for Himachal Pradesh Current Affairs and from Where to prepare ? Answer: Current Affairs of Himachal can be read from Newspapers Like Giri Raj [ Most Preferred ], Amar Ujala, Denaik Bhasker, Some regional Magazines etc. But you will come to know that these may be full of gossips or useless material in these newspapers/magazines so you have to cleverly read the useful stuff like Govt plannings, declarations and policies, High court decisions, Budget and Economic Survey, Environmental topics and economic and social current topics etc. Apart from that You can also get information from Himachal Pradesh Govt's Website. - Best way to prepare Current affair is to make notes from Newspaper/Internet daily. - You can make Notes on your notebook or E-notes on your Computer or Mobile. economic and social current topics etc. This is another Great Good Written by many Authors/Researchers So the content of the book is Highly Authentic and useful. This is Book which covers all Economy, Social Development topics and facts related to the State. A must have book. Strategies for Poverty Alleviation and Employment Generation. This book is a very Good Book that covers the Whole Folk Traditions, Culture, and Ecology in detail. Book is written in very Good Manner and provides the deep knowledge and authentic facts. A Must have book. Dr. Usha Bande, till recently Fellow, Indian Institute of Advanced Study, Shimla, was on the faculty of English Literature in Govt. College for Women, Shimla, and Principla of Govt. College, Arki. Having had a brilliant academic career, she worked for her doctorate on the novels of Anita Desai, interpreting Desai's characters from the Angle of Third Force psychology, an innovative approach, which has been widely acclaimed by U.S. scholars in the field. (c) Himachal Pradesh Now and Then or Here by V VermaThis Book is Also very Good, and covers all the aspects of the State. Overall this is also very Good book and all the Topics are written very well with Authentic facts. Altough this book alnoe in not Sufficient because author have written it in very brief manner but still very useful, So You will need to have the book I mentioned above. All these Books Provide a great amount of Himachal General Studies Resource. So if you want to prepare for the Exams which asks Himachal Studies you have to follow Some Good and Authentic books. I have gone through Some of the Great Books Written about Himachal Pradesh by various Authors, these books have been written on some particular topic and describes in a great depth. jo question hp naib tehsildar m puche and jo question tehsil dar welfaare officer exam m puche usme se ye book kitne cover karti h ye books????????????????? Agar HP GK ke baat kare to NT aur CDPO mai 30 questions hote hain Exam mai, aur inn books se maximum questions solve ho jate hain, kyunki ye subjective aur detailed hain, to isme 90 % se jyada Questions ke answers mil jate hain. Baki baat agar kare Indian and World GK ki to uske liye GS Mnnual ke jarurat hogi, aur kahe to bahuj jyada detailed praparation ke jarurat hogi. Current ke liye The Hindu newspaper padha kare to usme se max quetions cover ho jate hai. Iske Ilava koi 1 Achi monthly magazine bhi jaroori hai, par dhayan rahe ki aap 1 he magazine continue kare...esa nhi ki iss month koi to next month koi aur. Conclusion ye hai ke NT & CDPO etc exam need detailed and Vast studies for Prelims and then for Mains Exam GK and Current needs to be read accordingly. from where i can purchase the book "the wonderland himachal pradesh". please send the link od the source. Currently book is not available ONLINE. Latest edition is in print. But may be you can buy it from Chandigarh. or either suggest me a book for preparin HPAS BDO 2014 examinations. i am studying 2005 edition of balokhra. do u feel i need to change the book for HAS exam or is ti okay to study.and 1 more think which book is good for aptitude part for HPAS for current paper 2013. I think its ok to read 2005 Edition because most questions come from History, Culture, Geography, Polity of HP, but for latest happenings or happenings of last few years you can buy any other concise book so that you can update the facts, rest of the GK doesn't change that much. At this moment New edition of bhalokhra is not available so you have to read. thnk you so mich yup i am doing the same have taken current gk including polity history of india geography science etc of arihant..rest for Apti arihant is good option i think as many of questions are covered in it..rest we have to go with exam based strategy..
then Wait for the New Edition. sir I want coaching for hpas. I live in delhi. so , sir advice me coaching centre at delhi or in himachal near mandi . Coaching lekar kyun apna career aur paise waste krne ki soch rahe ho. Most of the people who qualify they do hard work on their own. So better that you do hard work with discipline. You can ask seniors and experienced people who are in this field, Coaching wale koi Tonic to peelate nhi ya koi mantra to nhe dete jo Koi bhi paper nikal jaye. Develop a habit of reading and analyzing things and make your own plan to study. only little guidance is enough for Winners. sir can I buy ' the paradise - himachal pradesh' or its new publication is also coming and I should wait for this one also. and if yes which is latest publication is available. I will Publish the Article for Geography n Pol Science soon after the Prelims. New Edition will be soon released, so wait for few more days. Sir main himachal gk RGupta se pad ra hun..will it cover most of the que or I should study above given books?? For HPAS or NT exam R Gupta is not enough at all, so you have read to one of these books, Choose any one of them. this book is Out of Print... try Other Books Like Mian Govardhan's Book. Equally Good. You can purchase it from Shimla Book Market. Good news guys....the wonderland himachal book is now released....it is of 460. Hi, please throw light on what type of questions are asked in the HAS interview. In particular from Himachal. Do they ask opinion based questions related to Himachal? Also the difficulty level as compared to UPSC interview. Thanks! please tell me the hindi medium books to hpas exam. any good book for himachal gk... balokhra's book is not available online.. whhat to do ?? Read This Article again ! Please suggest a good English news paper as Giriraj which you have mentioned here is not available in English I believe. Also, if I want to appear for the HPAS exam next year, when will it be advisable to start reading news papers. HP Subordinate Allied Service 2015 Cut off will be around 140 or Above 140 marks for General Category! First of all Read NCERT Hindi Books of Social Sciences and Science of 6th to 10th. Read NCERT Hindi Books of History, Political Science, Geography, Economics of 11th 12th. After NCERT, Read few Reference books I have mentioned for HPAS Hindi Medium People Here Read the Whole post. Is there any good test series available for HPAS exams kindly suggest and how to plan for optional? What should be the best time to start preparation to cover whole syllabus ideally (in ref. to 2016 exam)? I am new comer to start the preparation for hppsc, so if u can please guide me about how to start preparation and books to collect for prelim and mains prep. (All the books which are required for any new aspirant plz recommend) thanks, waiting!! For 2016 exam and how to start my preparation, i need proper guidance sir plz help me out i am so much confused right now !! Which monthly magazine to follow sir? If you Read newspaper daily then no need to follow any magazine, otherwise any magazine like Pratiyogita Darpan, Chronicle etc are Good. Sir I belongs to Delhi. What are the chances of outsider in HAS. sir , I am preparing myself for HAS 2016, can you guide me . what is average cut off for pre. By i want to buy only one book Regarding HP GK. So will you please help me to find out only one book for H.P. general knowledge. Best Book for HP GK is Wonderland Himachal Pradesh by Jag Mohan Balokhra ! Read this article again I have mentioned this book above. Sir, I am an outsider and have a decent command over GS portions excluding HP(UPSC). Does 'Jagmohan Balokhra' book suffice for the pre and mains HP portion or would you suggest a detailed study of the various sources you have mentioned? @khadubhai Bhai g 'the wonderland himachal' it's a huge book to read..... Khtm he ni hoti..... Bro can u please suggest some must read sections from the content table of this book.....it will be very kind of you. Cover History, Political History, Geography, Society & Culture in depth. And after that some important misc topics. How many pages the book by Jagmohan Balokhra contains? From where did you buy this book?? 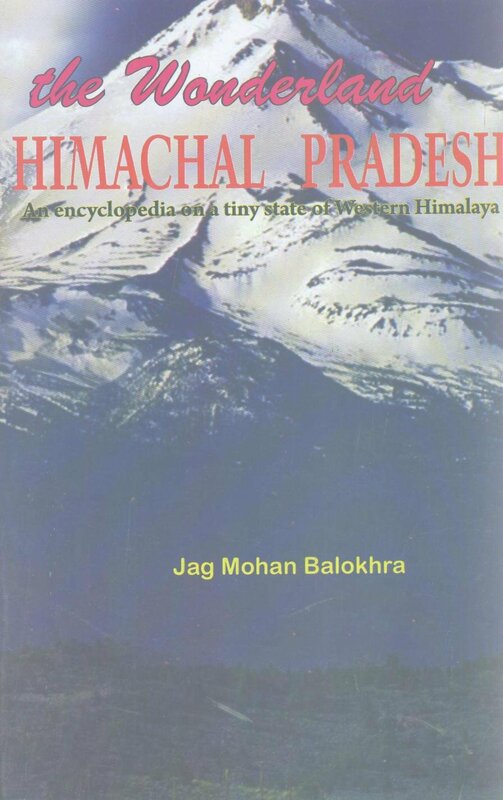 @kadhubhai IAS: Do you have any idea about the availability of the book "The wonderland Himachal Pradesh by Jag Mohan Balokhra" in Chandigarh, like any particular book store where this book can be bought? Himachal Naib Tehsildar ke exam prepare karne ke liye best book batayein please ??? Wonderland by Jag Mohan Bhalokhra is one of the best. U can also read Mian Govardhan's Book too. Can anyone please tell me what is the exact price of original book The wonderland Himachal Pradesh because on amazon it seems to be very costly which are recommended by the link in this site.On the other hand this is also available at Rs400 in the same site i.e Amazon.Which one to buy? Sir, pls advise strategy to prepare for hp tet exam in non medical stream. There is no proper book on this. Sir for kangra cooperative clerk exam which book is good for himachal GK section. Sir topic wise notes can we get? Can u please provide topic wise YouTube lectures of jag mohan balokhara. plz recommend a book for hpssb J.E Civil exam preparation. Main allied service ki teyari kr rha hu balokhra 2015 edition se sir is se ho jayega ya muje new edition lena chahiye. In this article, we have discussed How to prepare for IBPS PO Clerk Exam At The Same Time? Interested candidates need to focus on IBPS PO 2018 & IBPS Clerk 2018. Candidates who want to crack the IBPS Bank Exam need to read the information of the post for more information. Wowww what a detailed, long and informative post....I can not thank you enough for time and effort you have put into this....It is most helpful post I have ever found on internet..
mains syllabus with it cover, I am asking as you have provided a detailed list of additional books like "HP : land and people", Usha Bande , L.R Sharma etc...so what is cost to benefit ratio of these books in terms of time investment for studing these additional books..